I love the packaging - it's different to other lipsticks on the market. 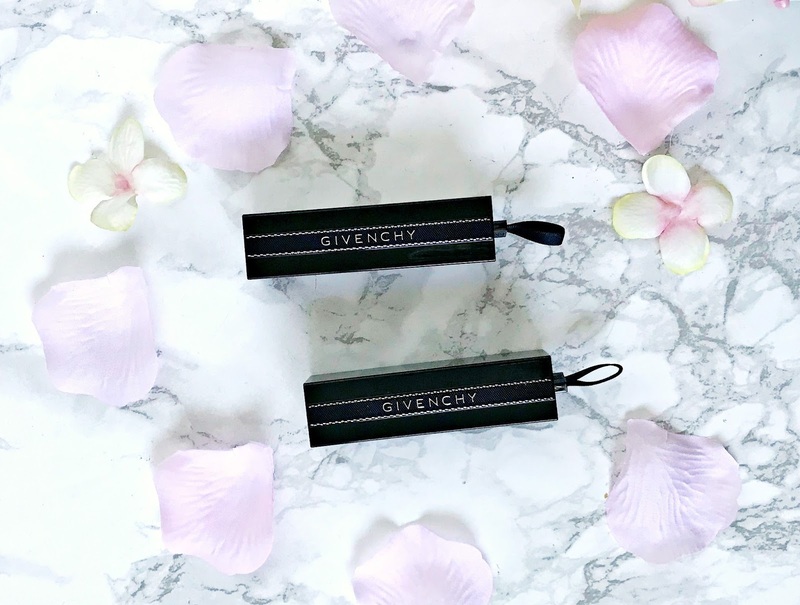 A black plastic case with two thin strips of silver beads in the centre the Givenchy name between the lines. 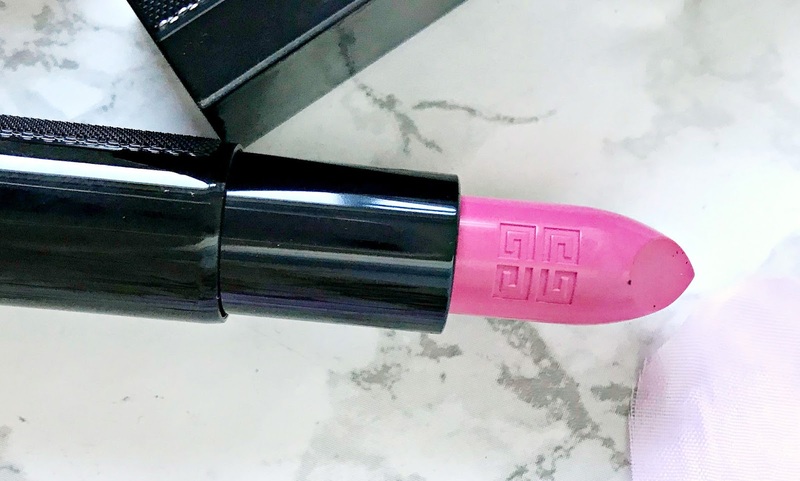 The lipstick is removed by using the ribbon attached to one end and slots back in tightly. 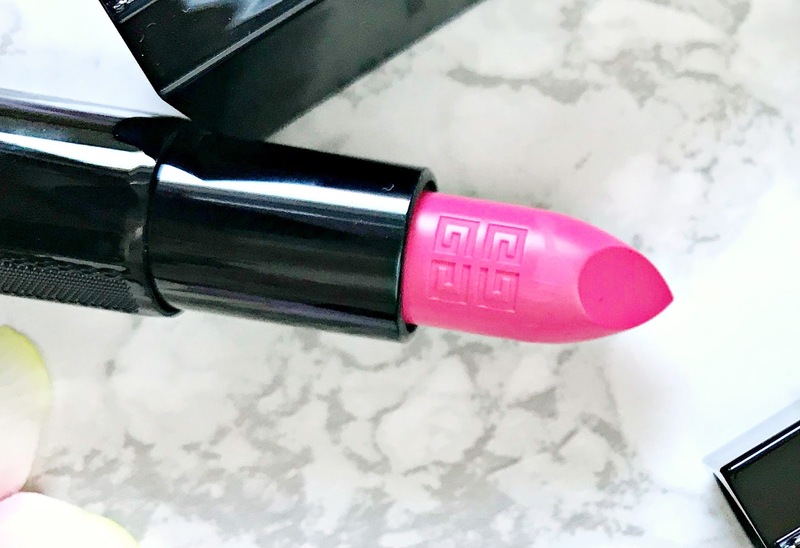 They also have the Givenchy logo embossed on the lipstick itself. I was kindly sent two pink shades - No. 20 Wild Rose and No. 21 Rose Neon. 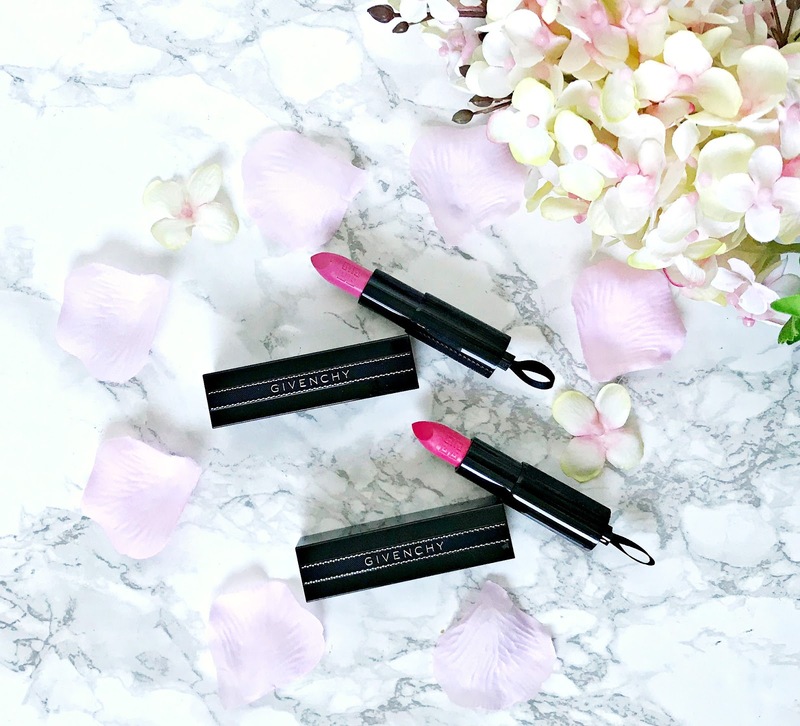 Both are very wearable pinks - perfect for Spring. The formula of these is one of the most moisturising I have found in a lipstick, yet they aren't slippy so you don't need to worry about it going outside the lips or on your teeth. They are extremely comfortable to wear - creamy and pigmented and, surprisingly given the formula, they are pretty long-lasting. I can get around 4-5 hours from these before I need to top up. They don't highlight any lines in the lips and the finish is a flattering satin. 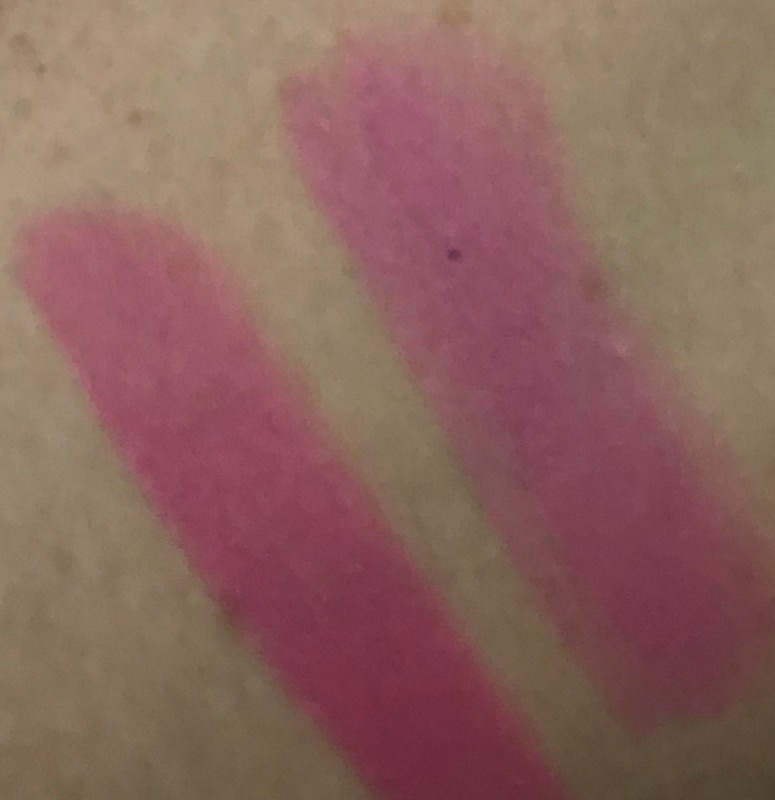 Left is Rose Neon and right is Wild Rose. Swatches completely unedited. Wild Rose is a cool toned, medium pink, whereas Rose Neon has a warm tone and isn't as bright as the name suggests! There are 23 shades available so there should be something for all tastes! At £19.05, this is a nice way to add some luxury to your life. I rarely go through Duty Free without treating myself to something - it's all part of the holiday to me! Don't forget that there is also a Reserve & Collect option, which is brilliant because even if you aren't travelling yourself, you can still take advantage of the savings that World Duty Free offers by reserving the products you want and getting a friend or family member to collect them for you! Are you excited for Spring? Are you a duty-free shopper? I'd love to hear! All products are bought by me, unless otherwise stated. These lipsticks were kindly sent to me. Opinion is always my own.